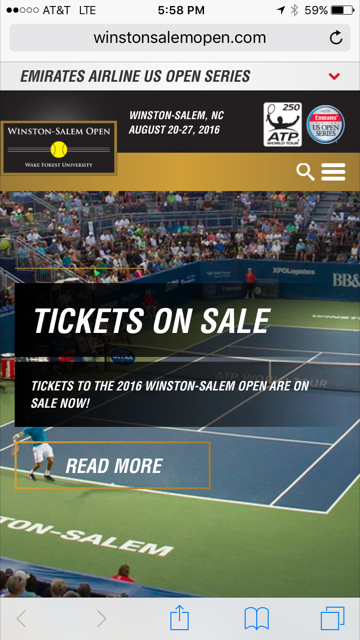 Step 1: Enter WinstonSalemOpen.com on your mobile browser. 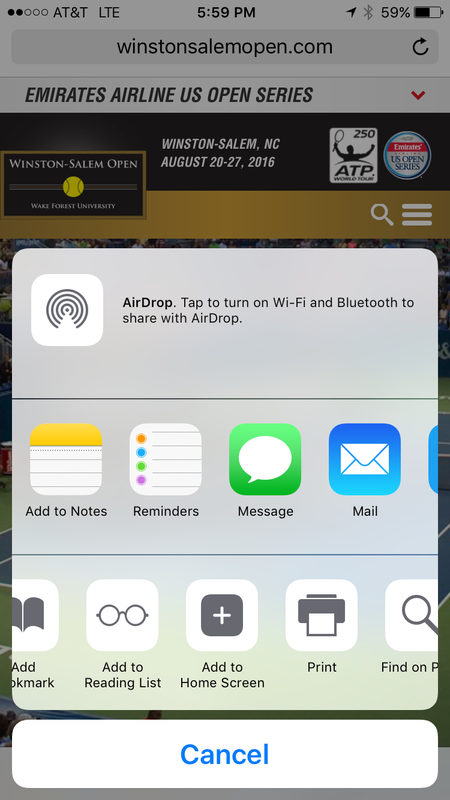 Step 2: Tap the box with the arrow to bring up your options menu. 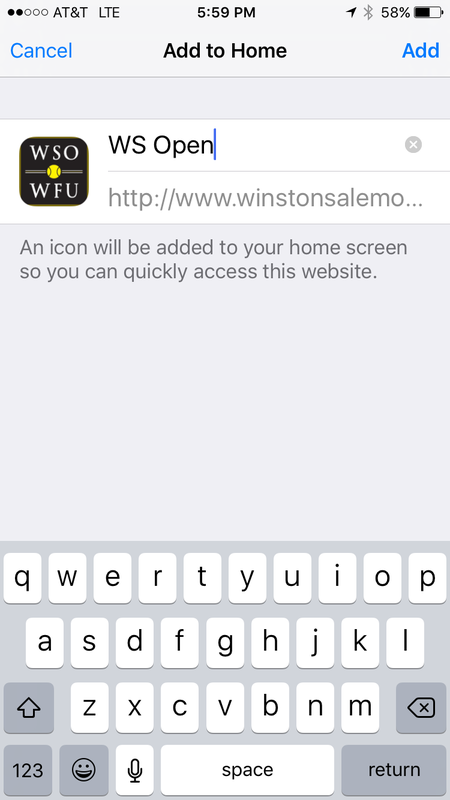 Step 4: Enter what you want the button on your home screen to be labeled. Step 5: Tap "Add" in the top-right corner.